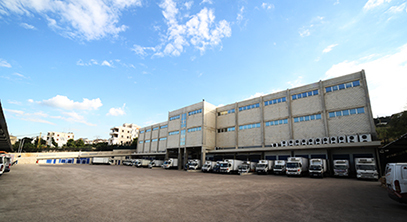 Servika was established in 2010 as the dedicated logistics and maintenance entity of Kallassi Group. Our mission is to be the one stop shop for all logistics and maintenance needs. Our distribution service boasts a fleet of more than 100 climate controlled trucks and vans ( Ambient, AC [+18C], Cold [+4C], Frozen [-12C/-25C] ) of different sizes and capacities. Our trucks are controlled by an advanced GPS system (temperature, speed, routing). All these elements come together to ensure safe, efficient and prompt delivery. Maintenance is managed by a specialized team of experienced professionals to ensure fast and reliable service using an up-to-date asset management system.